Share your news with us via our convenient webform. Heather Servaty-Seib, PhD (Counseling) has been featured in Purdue Today for her work in helping to illuminate the various ways in which people deal with grief and loss. Read the full interview with Dr. Servaty-Seib here. Iris Taber, PhD (Clinical) and Nyaz Didehbani, PhD (Clinical Health Psychology / Behavioral Medicine) have been awarded the Early Career Psychologist (ECP) Credentialing Scholarship by the National Register of Health Service Providers in Psychology (National Register) in conjunction with the American Psychological Association Committee on Early Career Psychologists. The ECP Credentialing Scholarship is presented to exceptional early career psychologists interested in becoming credentialed by the National Register. These individuals are recognized for their exemplary commitment to professional excellence. 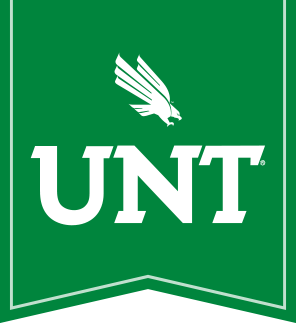 Stewart Pisseco received his Ph.D. in the UNT counseling psychology program in 1996. He took his first position as a faculty member in the counseling psychology program at the University of Houston. Building a successful faculty member career focused on the area of child development, he became a tenured associate professor and served as Director of the Counseling Psychology program at the University. While using TurboTax to do his tax return he got the idea for developing a system to help guide teachers through the process of designing good behavioral strategies for disruptive students. In 2000, he began working on and developing software and to help teachers and to assist school administrators to monitor programs in an ever increasing educational environment that stresses analyzing student data, delivering interventions, and tracking progress. At that point he decided to risk trading one dream for another and struck out to form his own company. He left his tenured position and formed Psychological Software Solutions (PSS). PSS focuses on helping schools in communities reach their students to assist them to reach their highest potential. PSS's major product is Review 360 which is aimed at the K-12 educational market. The business philosophy of PSS is to help school districts in the current data-driven technology environment make the most effective decisions. In September 2010, Inc. 500 placed PPS at spot #115 on its list of the Fastest Growing Private Companies in the U.S., #2 in Education, and the 4th fastest growing company in Houston.